Indianapolis, In. Erika Wentz has been named a Tennis Service Representative for the United States Tennis Association Midwest Section. Wentz assumes her new role on May 15 and will reside in Pewaukee, Wisconsin. Her responsibilities include increasing participation in tennis by promoting, developing and servicing the tennis industry throughout the state of Wisconsin by establishing strong relationships with the local tennis clubs, organizations and volunteers. In addition she will work closely with USTA National, Section and District staff and volunteers. Prior to joining the USTA/Midwest Section, Wentz worked as the Director of Special Events and Facilities at Elite Fitness & Racquet Clubs in Brookfield, Wi. She coordinated all tournament operations at the facility, scheduled special events and permanent court time, administered the facility’s USTA Jr. Team Tennis program, and worked as a tennis professional providing private and group lessons to adults and juniors. Wentz also served as the Head Women's Tennis Coach at the University of Wisconsin-Milwaukee and was a USTA/Midwest Section Zonal Coach for five years. In addition, she has been a volunteer at the Wisconsin Tennis Association and USTA/Midwest Section levels. Wentz obtained a Bachelor of Science Degree in Kinesiology and Sports Management from the University of Texas-El Paso in El Paso, Tx., where she also played collegiate tennis and captained the varsity team. We welcome Erika to the USTA/Midwest Section team, stated Jeff Giles, Director of Community Tennis. Her previous experience in the tennis industry as a teaching professional, administrator of USTA tournaments and USTA Jr. Team Tennis program, and service as a volunteer at the section and district level, will play a key role in increasing tennis participation throughout the state of Wisconsin. Wentz joins the existing USTA/Midwest Section Tennis Service Representative team of Jim Amick, Eric Nelson, Bret Schrama, Sue Selke and Matt Smucker. The Indianapolis-based USTA/Midwest Section exceeds 77,800 individual members and 900 member organizations. It is the second largest section of the United States Tennis Association, the National Governing Body for tennis in the U.S. The USTA/Midwest Section is composed of 14 districts in the following states: Illinois, Indiana, Michigan, Ohio, and Wisconsin, as well as several counties in West Virginia and Kentucky. The mission of the USTA and the USTA/Midwest Section is to promote and develop the growth of tennis. 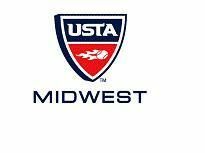 The USTA/Midwest Section’s website address is www.midwest.usta.com.